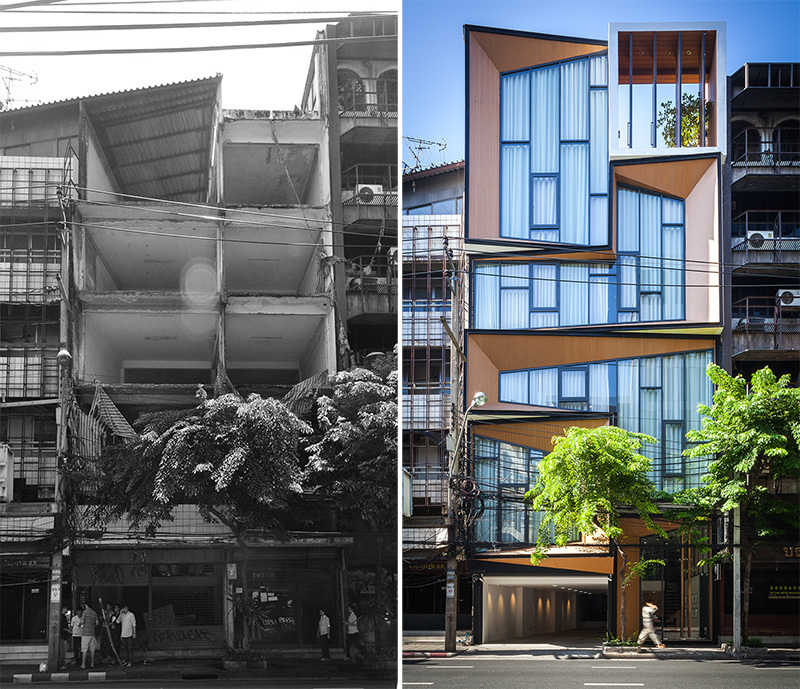 Finding new life as a combination of retail and housing space, this stunning structure’s new look works with the existing building envelope and floor plates while breaking down visible divisions between stories. 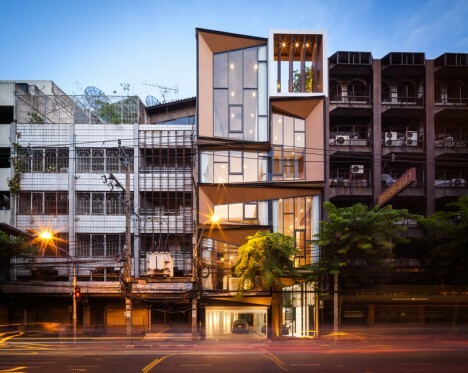 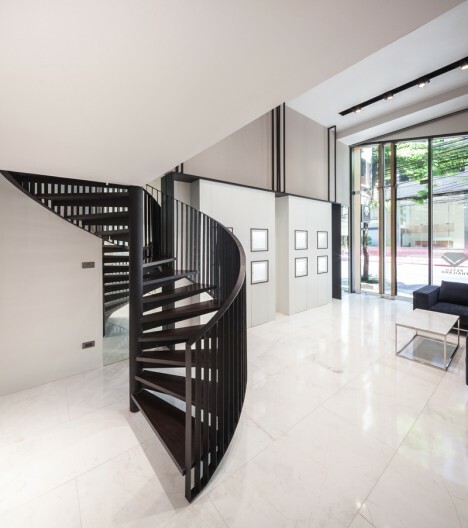 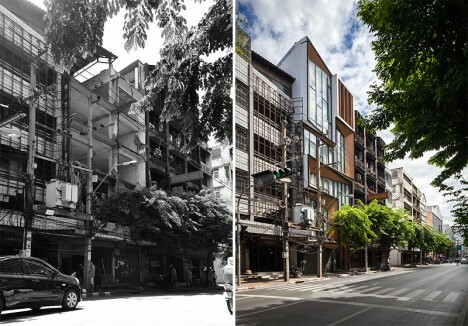 Located in Bangkok, Thailand, the refab is now home to four siblings above and their family-run jewelry store on the first floor. 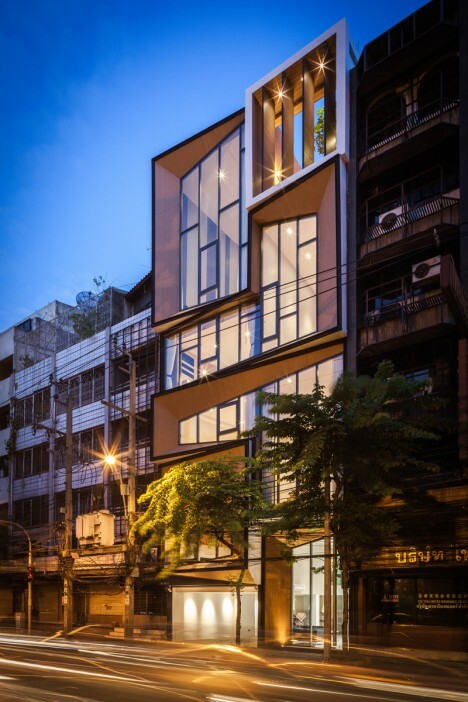 Idin Architects (photos by Spaceshift) kept the framework, difficult to remove as it touches adjacent structures, but renovated the interior and added an entirely new facade that seems to defy floors as it wraps up the front. 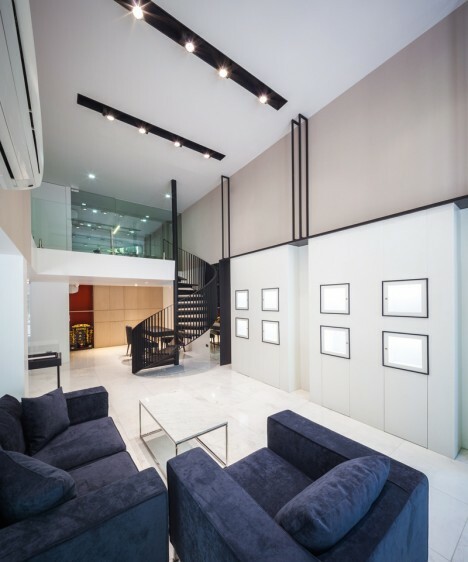 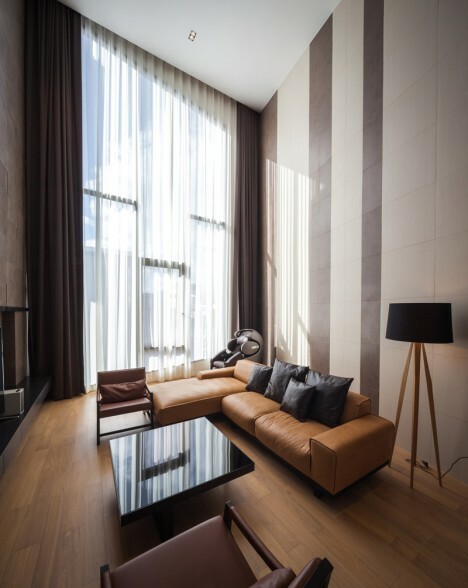 Each family occupies two stories of the 7-floor building, with elevators connecting all of the different units in the back and an enclosed rooftop patio above. 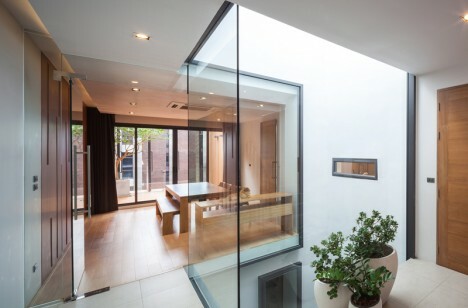 A central lightwell (occupied in part by a slow-growing tree) and other internal features reconnect the different are as well while maintaining separation and privacy for each family unit.